Despite not having its own beachfront, Jerez has become the favorite destination for many people during the warm summer months. Each year a multitude of tourist arrive in Jerez, looking for a combination of sun, beaches and hills, heritage, wine and flamenco, things that can be found with an overnight stay in the birthplace of Lola Flores. 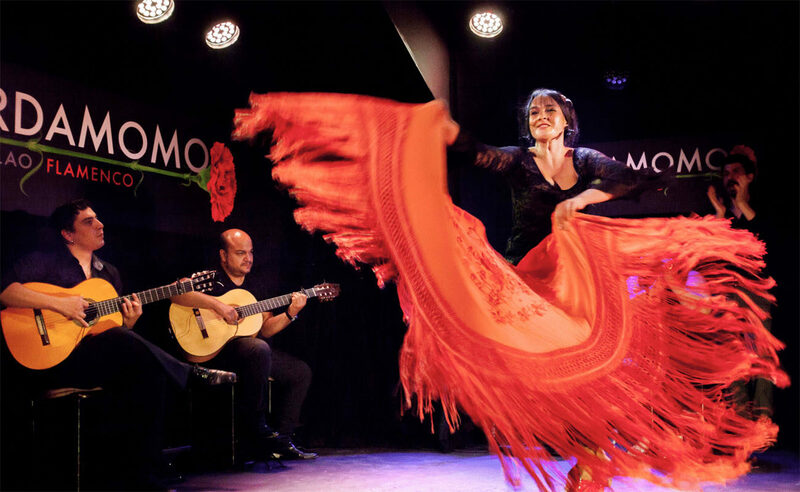 Aware of the increased demand for accommodation in July and August, Jerez’s City Council, with its Flamenco Unit, has decided to focus the varied and traditional cultural programming of those months on its most representative musical genre. 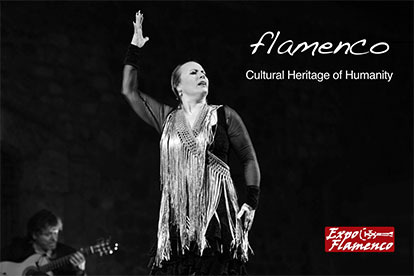 From July 7 to August 25, Caló Flamenco will take place in Jerez, a series which will include all of summer flamenco performances. 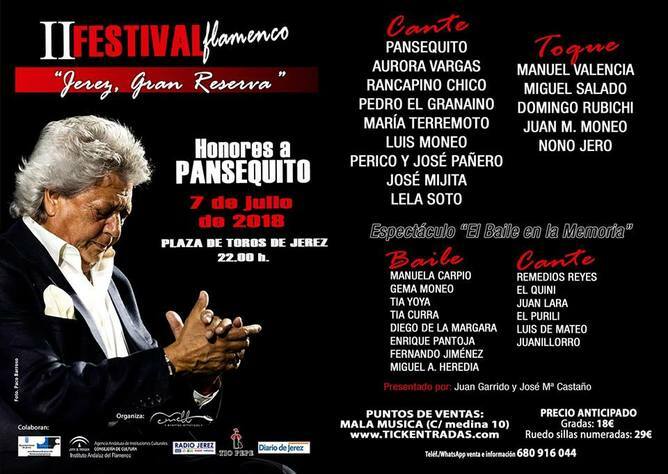 It starts with the 2nd Festival ‘Jerez, Gran Reserva’, honoring Pansequito, which will take place in the city’s Plaza de Toros (bullfighting ring) on July 7, with a lineup featuring artists of the stature of Aurora Vargas, Rancapino Chico, Pedro El Granaíno and Luis Moneo. This will be the starting gun for all the flamenco that will be performed this summer. 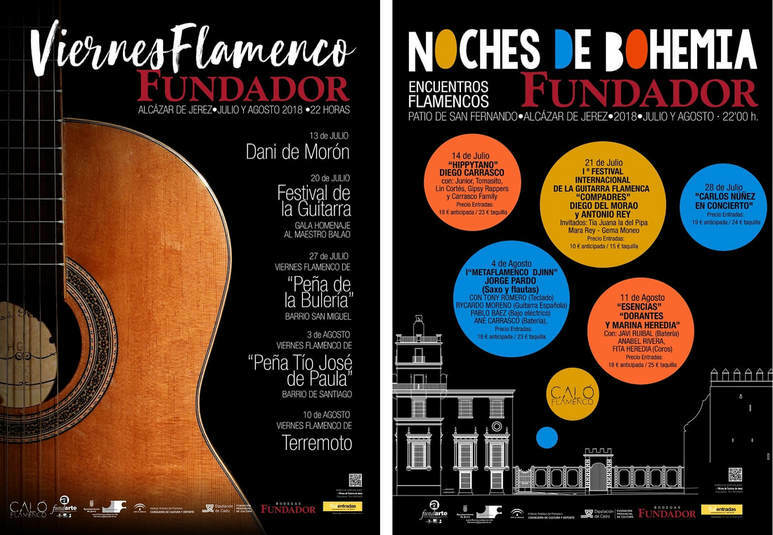 We shall also mention that June will also feature several flamenco events, such as the concerts of Maloko Sotoand Andrés de Jerez, on June 23 and 29th respectively, both launching their new albums in the Claustros de Santo Domingo venue. On June 14 and 15th the 1st Conference ‘The City: Flamenco Heritage of Jerez’ (‘La Ciudad, Patrimonio Flamenco de Jerez‘) will take place, with lectures, round tables, etc. It’s organized by Fermín Lobatón and attendance is free. 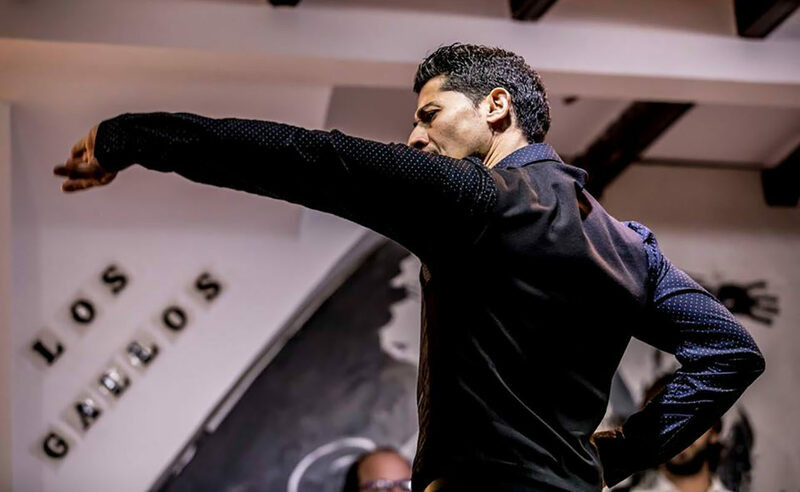 Back to Caló Flamenco, we must highlight the historic series Viernes Flamencos (“Flamenco Fridays”), which will start the evening of July 13 with the performance of Dani de Morón, joined by the voices of Jesús Méndez, Duquende and Antonio Reyes. The following Friday, the Alcázar de Jerez will host an emotional tribute to maestro José Luis Balao, featuring performances by some of his famous students. The three following Fridays (July 27, August 3 and August 10) will be organized, respectively, by Peña La Bulería(featuring Antonio Agujetas and José Mijita, among others), Peña Tío José de Paula (featuring the Zambo family and Ángel Vargas, among others) and A.C.F. Fernando Terremoto (featuring Luisa Muñoz and Ana Rancapino). 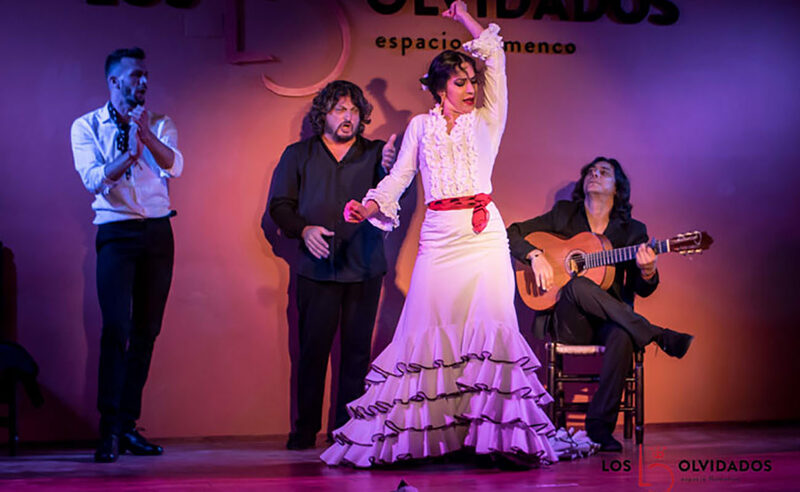 Another noteworthy series in Jerez’s summer season is ‘Noches de Bohemia‘: five Saturdays (July 14, 21st and 28th, and August 4 and 11th), focusing on more alternative flamenco artists. The first Saturday will feature Diego Carrasco and his show Hippytano. Diego del Morao and Antonio Rey will share the stage the following Saturday with their show Compadres. The third week will feature the Galician music of Carlos Núñez. On the fourth Saturday, the great Jorge Pardo will return to Jerez, and the final date will feature the show Esencias, by Dorantes and Marina Heredia. Capping it all (pending further information about another series of contemporary style known as MIMA, which will take place the Wednesdays in July at Jerez’s Museo Arqueológico), we’ll have the 51st Fiesta de la Bulería: five days of hectic activity with three important shows at the Alameda Vieja venue. On August 23 “El Río de la Bulería” will be performed, directed by Curro Carrasco; the 24th will focus on the relationship between Japan and Jerez, featuring David Lagos, Shoji Kojima and Javier Latorre (among others), and the 25th will honor Manuel Moneo with a show directed by Manuela Carpio.